Our relationship with Russia has NEVER been worse thanks to many years of US foolishness and stupidity and now, the Rigged Witch Hunt, Trump tweeted. 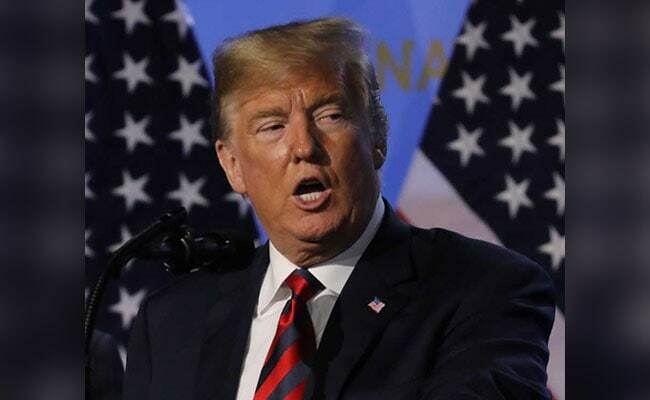 US President Donald Trump set the scene for his summit with Vladimir Putin on Monday by blaming the chill in relations with Moscow on the investigation into Russian interference in his election victory. "Our relationship with Russia has NEVER been worse thanks to many years of U.S. foolishness and stupidity and now, the Rigged Witch Hunt!" Trump tweeted, referring to US special prosecutor Robert Mueller's probe. Last week, Mueller indicted 12 Russian intelligence officers accused of hacking computer servers belonging to Trump's 2016 election rival Hillary Clinton and her Democratic Party, then leaking private emails to damage her campaign. Trump has furiously denied his campaign colluded in the alleged interference, and has generally denounced the special investigation as a "witch hunt" promoted by his enemies to delegitimise his victory.